Well here we are at Day 6 of seven days of projects using the wonderful limited edition Snowflake Showcase products. And today's project is one of my favourites and (shock, horror!!) it is NOT a card. Yes, unusually for me, here I am with a Christmas home decor project. 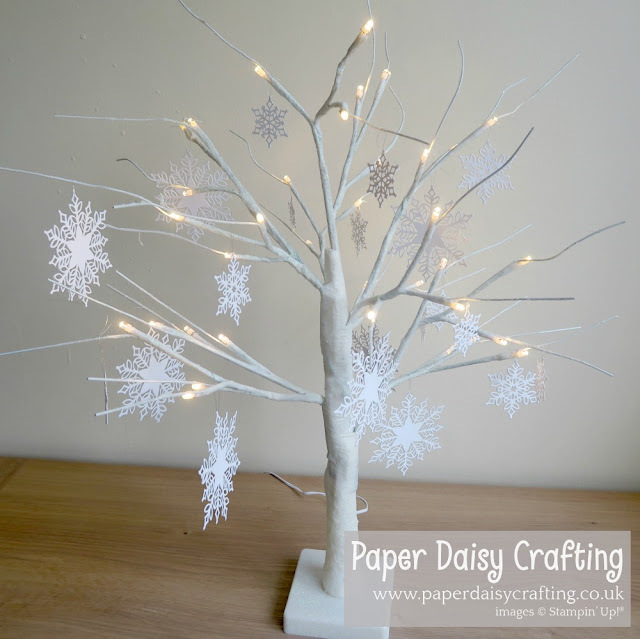 I have used the dies from the Snowfall Thinlits to decorate my lit twiggy tree with snowflakes cut from Whisper White card. For each snowflake I die cut two, and glued them together to make them stronger. I hung them on the branches using our Silver Metallic thread. It is so pretty! Hope you like it and can see yet another use for this fabulous die set! 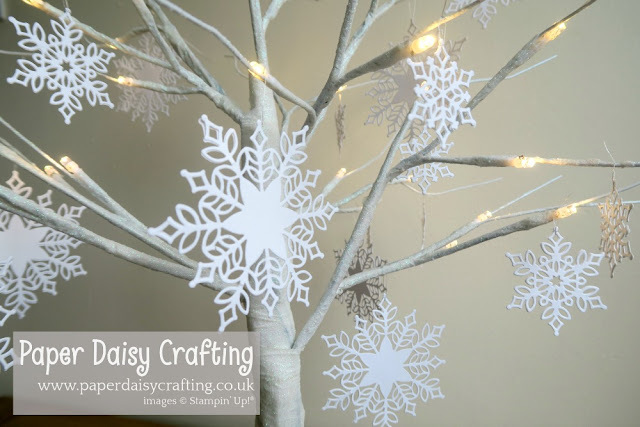 Back tomorrow with my final Snowflake Showcase project, along with a video tutorial.